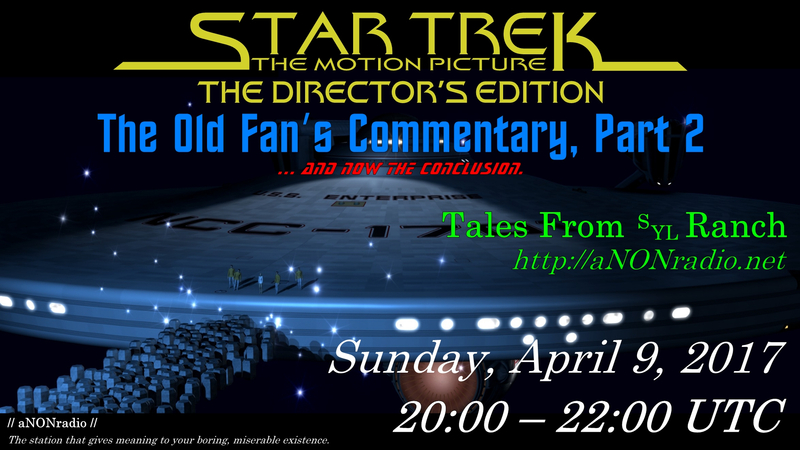 Sunday on Tales From SYL Ranch: the conclusion of the Old Fan’s Commentary on Star Trek – The Motion Picture (the Director’s Edition). Tales From SYL Ranch can be heard Sundays from 20:00-22:00 UTC at http://anonradio.net. This week, we’ll be talking about what it was like as a teenaged Star Trek fan to see the film for the first time in 1979. We’ll also talk about fandom of that period and what it was like to live through it. 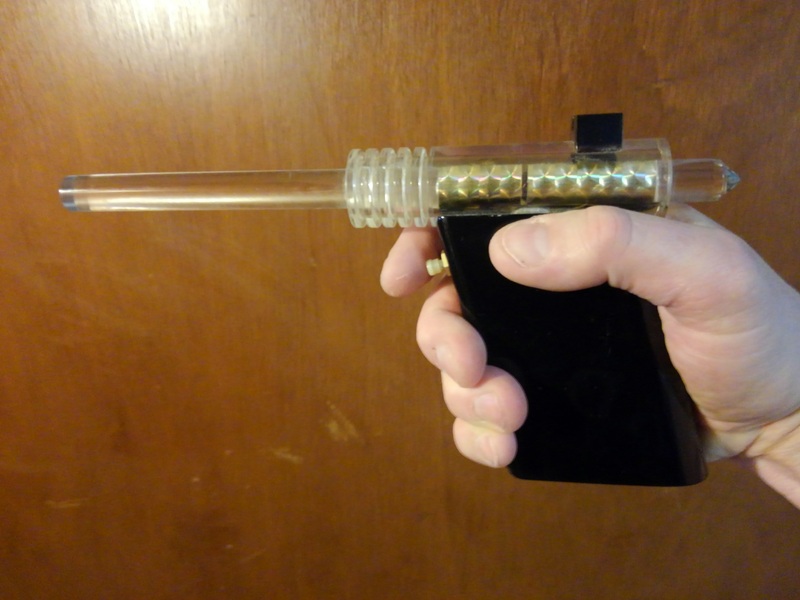 We’ll also have the usual episode of The Hitchhiker’s Guide To the Galaxy. After all, you can’t listen to Bill talk for an hour without wanting to slit your wrists. Tales From SYL Ranch can be heard Sundays from 20:00-22:00 UTC at http://anonradio.net. The station is listed on iTunes, TuneIn, and other streaming services. Listen to Bill discuss the first Star Trek movie (the one people usually like to forget). As promised, my Isher Artifacts Model A, SN A013. Sunday on Tales From SYL Ranch: part one of the Old Fan’s Commentary on Star Trek – The Motion Picture (the Director’s Edition). We’ll also have the usual episode of The Hitchhiker’s Guide To the Galaxy and a smattering of amusing bits throughout. After all, you can’t listen to Bill talk for an hour without wanting to slit your wrists. All DJs on aNONradio.net are members of the SDF Public Access UNIX System Community. Please join our growing online community of free software authors, teachers, librarians, students, researchers, hobbyists, computer enthusiasts, artists, musicians, and the aural and the visually impaired. We fight for and promote the distribution and development of free software and the non-commercialization of the Internet. Visit sdf.org for more information. subscribe to the anonradio-l mailing list by sending an email to majordomo@sdf.org with ONLY “subscribe anonradio-l” in the body of the email and NO Subject. aNONradio is always looking for creative and reliable DJs! Please click here for more details.